Approximately 20 million American women need to remove facial hair at least once a week, according to a 1999 study done by Bristol Myers. 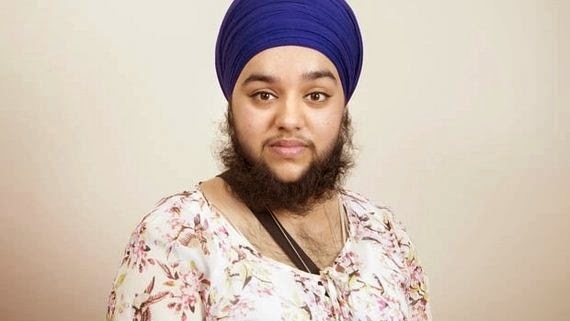 It is not a disease but women with beards and hairs are often regarded as men, gross, impotent or witches. 1. Most women who are diagnosed with hormonal imbalances respond well to treatment, but the hair can grow back if your hormone levels again become out of sync. 3. Hirsutism tends to run in families. You may be more likely to have unwanted hair growth if your mother, sister, or another female relative does. 5. And these conditions can affect the way your body produces androgens. 6. Birth control pills can help balance your hormone levels. If you are overweight, your doctor will probably suggest that you lose weight to reduce your hair growth. Obesity can change the way your body produces and processes hormones. Maintaining a healthy weight may correct your level of androgens without the use of medication. However, the causes of the hair growth can be evaluated by a physician, who can conduct blood tests, pinpoint the specific origin of the abnormal hair growth, and advise on the treatment.